Oh yes, that reminds me, Karen planted 52 “things” today. 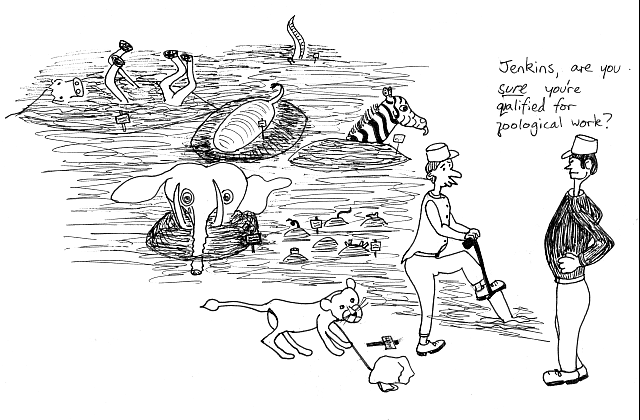 Jenkins, are you _sure_ you're qualified for zoological work? *Whimper* I wish you hadn’t planted some of them heads down – it’s really quite distressing. don’t worry. All the head-down ones are excellent burrowers. Honestly.